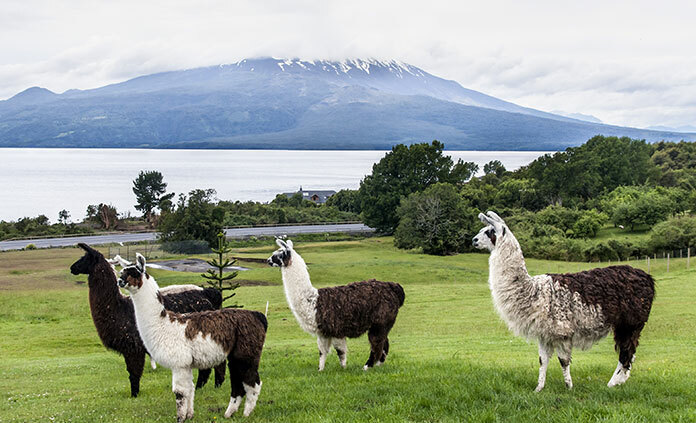 Tucked between mountain and sea, Chile’s magical landscapes and warm people await. 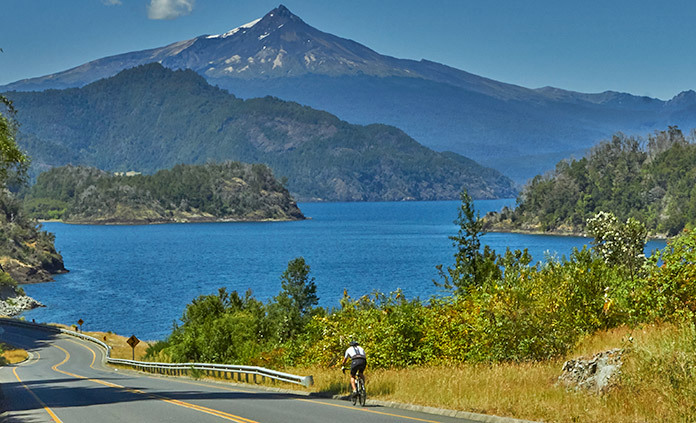 Whether you’re looking for a bike tour, a hiking trip or a multi-adventure journey, Chile’s Lakes and Volcanoes District is the perfect destination. 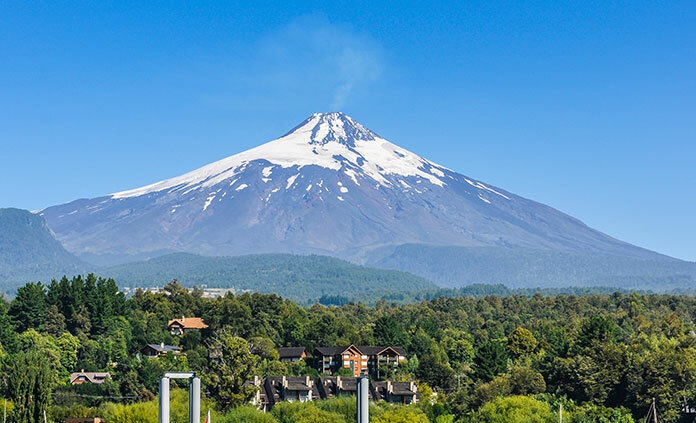 It’s a place where snowcapped volcanoes with smoking fumaroles dominate the skyline. Where you find yourself in sprawling forests and gazing at sparkling rivers and glacial lakes. Where you soak in geothermal waters and wake up in Huilo Huilo Biological Reserve with the rain forest out your door. And in between you can meet members of the Mapuche community, experience live music from a cueca folk band and sip famous local wines.